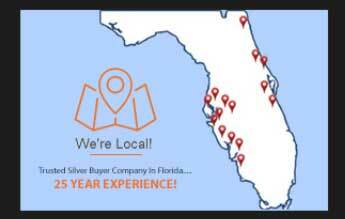 If you are wondering where can I sell Antique Silver in Lakeland, look into Antique Silver to get an accurate valuation and best price for it. We are authorized collectors of antique silver Lakeland. Our store has 25 years of experience in this field and in-depth knowledge about silver in various forms such as tea sets, bowl, flatware etc. We are not a pawn shop, we are experts who have the experience to determine the true quality and price of silver. The beauty of silver and its value has not diminished over the years. Today, just as centuries ago, items made from this metal are highly valued. Like Gold, Silver is a malleable metal, but unlike it, this metal gets faded when it comes in touch with pollutants in the air. Hence you can see it getting tarnished on the surface, which can be removed by polishing. Items made from silver are combined with another base material such as copper to give strength and durability. Why Get A Valuation Through Us? 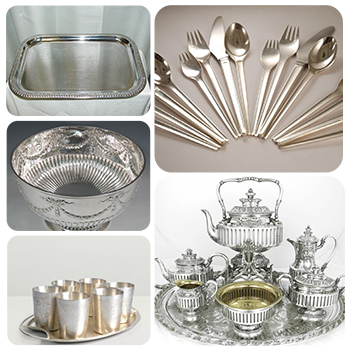 Silver items are defined according to the amount of silver that is put into them. If you have a silver item and don’t know if it is estate silver, vintage silver, silver plated or sterling silver, look into our store. We will examine the item and base its value depending on factors like silver quality, uniqueness, history and manufacturer, hence you can be sure of getting a fair price by selling it to us. Over the years we have collected precious antique silver items from people who are interested in selling unique silver items or their personal silver collection. Today antique silver has a very high value. The kind of intricate craftsmanship that went into silver items made centuries ago increases its value. Do not sell your antique silver to just any local pawn shop or silversmith. Come to an expert like us because only then you will get cash that reflects its real value. If you have antique silver trays for sale in Lakeland or are seeking Silver Bowls buyers in Lakeland, you have come to the right place. We will offer the best price and instant cash in Lakeland for any antiques and we visit lakeland at-least once a week, our headquarters are in Largo, but we cater to whole of Florida.